Are you interested in how you can reverse and prevent diseases through food choices? 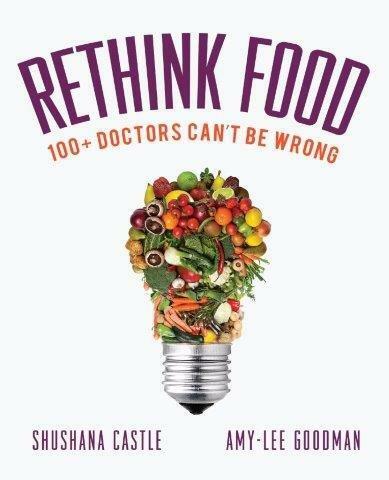 Amy-Lee Goodman and Shushana Castle talk about their newly released book “Rethink Food- 100+ Doctors Can’t Be Wrong” which illustrates how, despite genetics, a diet based on whole, plant-based foods is most directly linked to excellent health, wellness, fitness, and longevity. Our impetus for Rethink Food came from simultaneously watching family and friends struggle for years with today’s most common diseases and then completely rid themselves of the debilitating symptoms and re-gain their health and vitality upon adopting a whole foods plant-based diet within months. Through interviewing doctors for radio shows and research, we found too many people are not at all aware of the damage from eating meat and dairy and conversely, the amazing benefits of a plant-based diet. Most people are steered into the system of conventional medicine. Too many of us believe that our genetics dictate our destiny. The misinformation surrounding our health is one of today’s greatest injustices. The answer to reversing and preventing diseases is almost always right at our fingertips with our food choices. Despite genetics, a diet based on whole, plant-based foods is most directly linked to excellent health, wellness, fitness, and longevity. While there are so many great resources available on the connection between diet and disease, the information is often fragmented and country specific. Rethink Food remedies this by for the first time bringing together 118 authorities on medicine, health, fitness, and plant-based nutrition from around the world into one resource. Rethink Food uncovers the entire spectrum of amazing health benefits from a plant-based diet. From the Ivy Leagues of Harvard, Princeton, Yale, and Cornell to the UK, India, Germany, Italy, Brazil, Mexico, and New Zealand, Rethink Food’s experts explain how we can reverse heart disease and diabetes, eliminate food allergens and autoimmune diseases, live pain- free from arthritis, prevent Alzheimer’s, even bring cancer into remission and much more by completely removing all animal products from our plates. Challenging the status quo, these doctors reveal how each and every chronic condition from heart disease to cancers included is DIET RELATED. Uniquely, Rethink Food focuses on the lack of nutritional education in medical school. Unfortunately, most doctors do not know the relationship between diet and health. This is not our doctors’ fault. The problem stems from education. There is very little focus on preventative care throughout medical school and training- putting patient care constantly on the defense. It is time we play offense with disease. Rethink Food doctors speak out on this disease-centered paradigm and shockingly, how doctors are only given a brief overview of nutrition in medical school. From recent medical school graduates to renowned physicians, not much has changed in terms of education over the last 40 years. Optimistically, these doctors acknowledge that the answers to our leading health woes are not at the bottom of a pill bottle, but on the end of our fork. Additionally, too often people associate eating meat and dairy with achieving peak performance. We highlight 8 super athletes such as former NBA star John Salley, former NHL star Georges Laraques, former Australian special forces Damien Mander, NASCAR racer Andy Lally, elite runners, and Olympic trainers that speak to the amazing benefits of being powered by plants. We have mistakenly believed for too long that building muscle requires post-work out whey protein shakes, and lean meat meals. Animal protein is directly connected to inflammation that sets the stage for chronic disease. Although many of us think we are fueling our body with the right foods, most of us are setting up our bodies for long term disease. Rather, our bodies successfully thrive both on and off the field on plant power. We aim to change the conversation surrounding healthcare, diet, and disease. 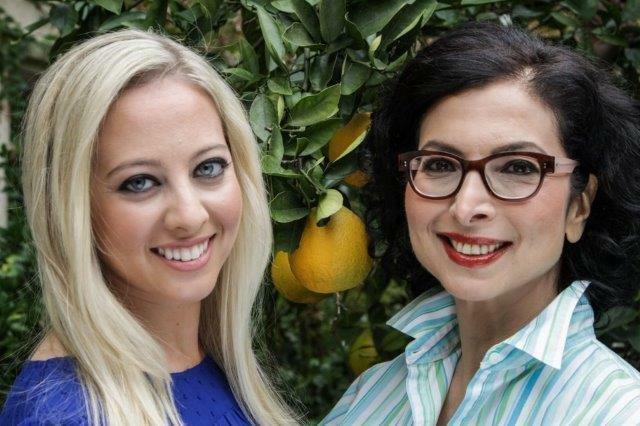 We hope these doctors will inspire and empower readers to take charge of their health and embrace a plant based diet. Changing what we eat has the power to change our lives. It all begins with the courage to re-think food. Dr. Dana Simpler is an amazing educator in this field of promoting optimum health! She most importantly lives the life she teaches!